1000 South Clark was unveiled in a grand opening party that welcomed guests to experience the South Loop’s newest luxury apartment tower. 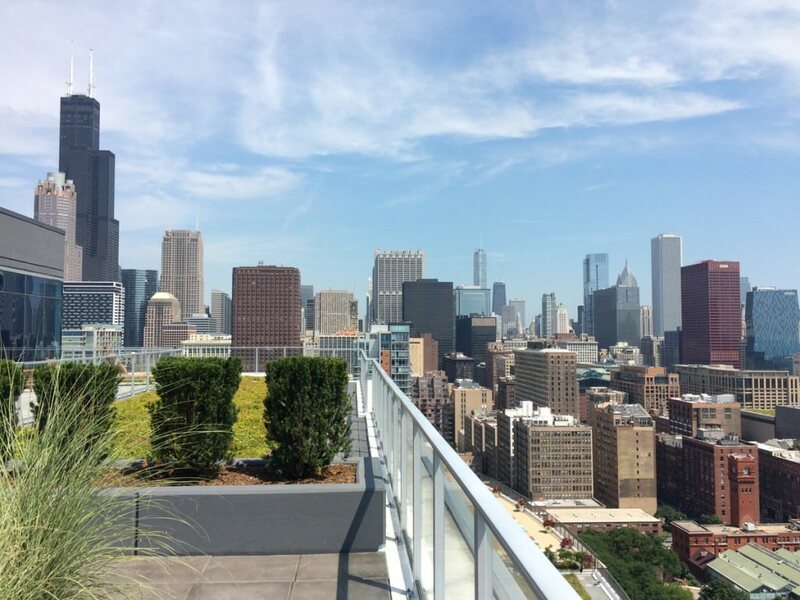 Co-sponsored by Chicago Social magazine, the event featured summer cocktails, chef tastings, and music entertainment enjoyed throughout the building and atop the building’s rooftop deck. The 29-story skyscraper was developed by the joint venture of JDL Development and iStar Financial. In addition to 469 tower units with studio- through three-bedroom configurations, there are six townhomes with two-car garages. The property is distinctive for its 43,000 SF of common amenity spaces, which includes multiple themed lounges, a full-floor fitness center and pool deck, an on-site pet care and boarding center, and a penthouse-level terrace. With final completion achieved in August 2016, the building is already more than 60% leased. 1000 South Clark is the most recent of HPA’s collaborations with JDL Development, which include No. 9 Walton, Welles & Erie, 1225 Old Town, Halsted Flats, and The Scott Residences.